f you could choose one word to describe your past year what would it be? For us, it would be the word faith. The past year has been filled with chaotic purpose and deliberate decisions. If you would have asked us in our first year of marriage if we would be doing what we are doing now, we would have thought you were crazy. It really started when Adam had applied for a job this past summer that we were pretty certain he was going to get. He was well-qualified, made it to the top two candidates, and knew someone who worked there and had a good amount of pull with the HR person. It seemed like this was going to be a great move for him and be a nice change. Within the span of three days, we received a voicemail from the HR lady saying that Adam didn’t get the job, and also an email from our landlord telling us that he was selling our home–the one we had lived in for four years–and we had to move. With that information, our life went from cozy, comfortable to internal chaos. Our house had been an incredible blessing for those four years. San Jose is one of the most expensive places in the country to live and we were living in a four-bedroom home in a wonderful neighborhood for the cost of a studio apartment. Over the course of 72 hours, our perspective and plan changed entirely. We began looking at other places to rent in the area, but the cost would have cut our budget an extreme amount, forcing us to eliminate essentials. That’s when we really started praying about seeking God’s will for the next steps we should take. As part of our yearly planning process, we sat down one Sunday afternoon after church, prayed, and started talking about all the different scenarios that could happen. In about 10 minutes, we came up with an idea that really only could have been from God…because it was so crazy…and all the pieces fell into place. We felt God pulling us to give everything we had to Radiant Marriage. We felt called to full-time work with this ministry that He had given to us. We knew that we needed to obey and make the switch. A good friend of ours offered us a room in her house for a discounted rate. This meant that we could put money into savings while we figured things out. We decided to live with her for 5 months and put as much as we could into savings. After that, we would both leave our jobs in December, stay with my parents for a few months, and work to fully launch all the exciting plans we have for Radiant Marriage (stay tuned!). We’re sure you’re thinking this sounds insane. We know. We’ve seen the looks people have given us when we’ve shared with them. For two people who like to have a plan, order, and security, there’s no way that we would have chosen this plan if it was up to us. But God was clear about the direction He wanted us to take. The great thing about God though is that He will equip us with whatever we need. As Mark Batterson says, “In every dream-journey there comes a moment when you have to quit living as if the purpose of life is to arrive safely at death. You have to go after a dream that is destined to fail without divine intervention.” God is the only reason our dream has any hope of success and we’re so excited to see how He will accomplish His plan. We just have to follow and be obedient. Do you have a dream that God has put on your heart? Have you felt that subtle whisper from God to propel into something unknown? We encourage you to trust Him and take the leap. It can be difficult sometimes to hear where God might be calling us. We get caught up in our daily lives and jobs and other stresses, which can sometimes lead to a rut of settling for less than God intended. Don’t allow yourself to fall into this trap. Take time to pray and listen to where God wants to use you. He made you unique and wants to use your gifts and talents. All God needs is a willing heart that will follow Him fully and completely, no matter how uncertain the road ahead. Did you know that God says to “fear not” 365 times in the bible? God knew that we would be afraid and He knew we would need to hear “fear not” frequently. He tells us once for every single day of the year. The beautiful thing about God is that He is fighting FOR us and WITH us. If He calls us to something, then we can have confidence that He will provide whatever we need. Success is up to God, not us, and if He has called us to something specific, then He will see it through. That doesn’t mean there won’t be times of difficulty, but it does mean that God is faithful to His promises. Go forward boldly knowing that God is in control. What word(s) do you want to define the next year in your family? Our prayer is that words like obedience, trust, faith, purpose, intentionality, humility and boldness would be the focus of your year. Leave a comment and let us know what you think! Want to take your marriage from ordinary to awesome? Get our weekly lessons, tips, and secrets straight to your inbox. We welcome relevant and respectful comments. Please read our comment policy before commenting. Want a better marriage in a week? 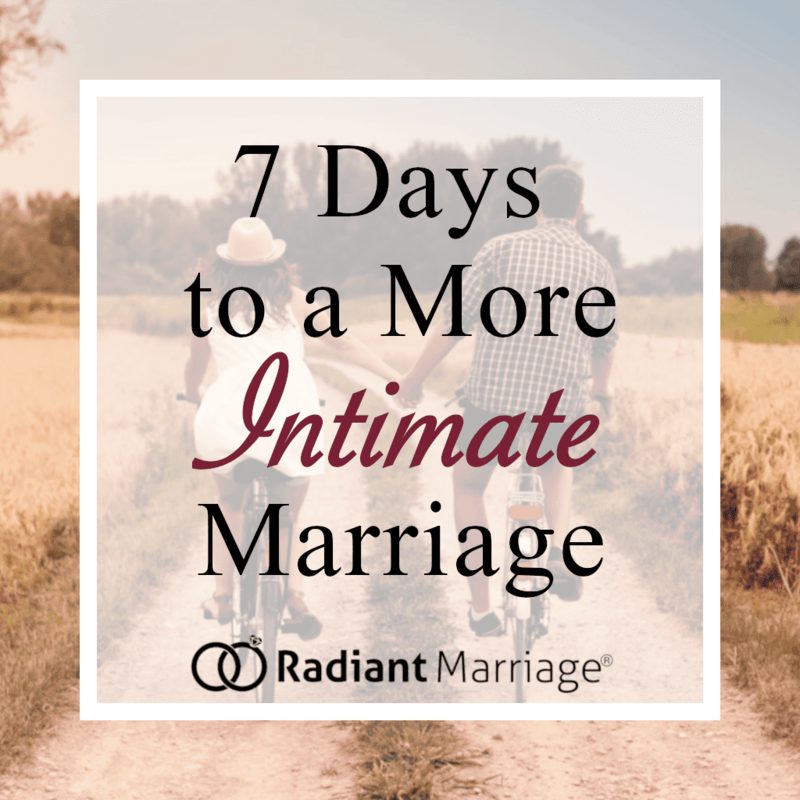 Enter your email to get our exclusive free email course, 7 Days to a More Intimate Marriage! Hi, we’re Adam & Jess! Our marriage got off to a rocky start in 2014 and quickly escalated to a full-out crisis. Jess left just five months into what we thought would be our happily ever after. We spent the next couple years in marriage counseling. We read every book and took every class we could find to save our marriage, and while it was absolutely worth it, it was a ton of work. We're so glad you're here! We wrote this course to share what we learned on our journey in a simple, easy and clear way. Our hope is that you'll take our stories, failures, and successes and use them to make your marriage the best it can be! 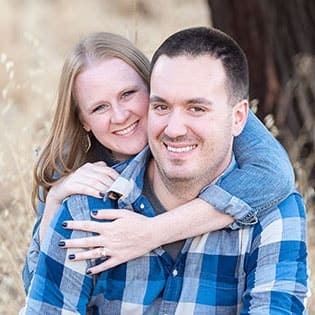 Adam has an MBA and Jess is currently pursuing a Master’s degree in Marriage and Family Therapy. We live in San Jose, California and are members of Church on the Hill. Want to hear more about how we got to where we are? Be one of the first to know when the Radiant Marriage course goes live! Not a robot? What is 2+2=? Hey, I was just reading Defining Your Best New Year from RadiantMarriage.com and thought you might like to read it. Let me know what you think!